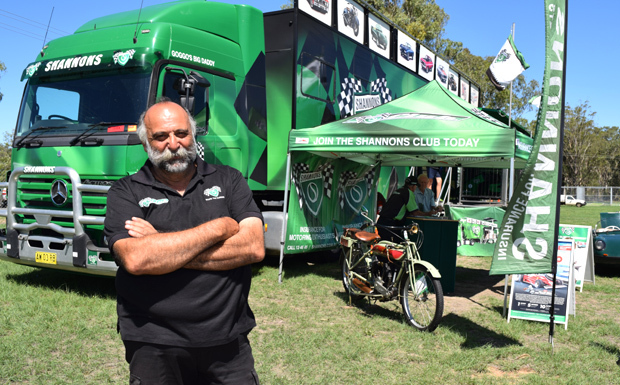 The volunteers with the Nanango Sporting Association had spent most of the day before erecting tents in pouring rain, gambling on a weather forecast which predicted dry weather the following day. 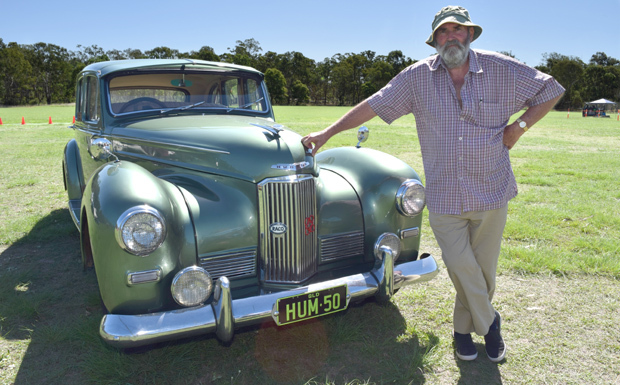 But as things turned out, the Bureau of Meteorology was correct and the Show & Shine – the major annual fundraiser for the group – went off without a hitch. 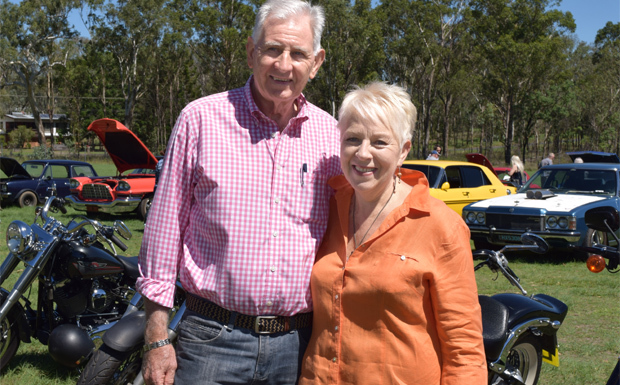 This year’s Power Up was extra special because it also marked the 40th anniversary of the foundation of the Nanango Sports Association. A feature of the day was a short talk about the history of the grounds by Rod Morgan, one of the founding committee members. 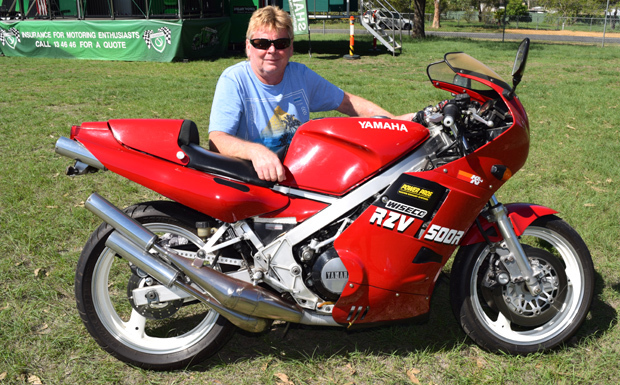 Rod said that when he moved from the Sunshine Coast to Nanango in the late 1970s, the Nanango Cricket Club was playing at the Showgrounds and a Nanango soccer club had only recently been formed. 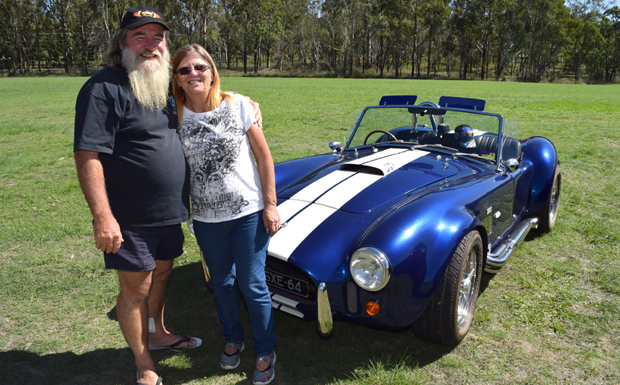 When the Nanango Show Society asked the cricket club to find another ground to play on, the cricket and soccer clubs joined forces to form the Nanango Sporting Association with the aim of finding a permanent home. Each group chipped in $400 – about $2000 in today’s terms – to provide the association’s initial capital. They promptly spent $540 to lease land in Burnett Street from Nanango Shire Council. At the time the block was known as the Old Mill wicket, and it was widely regarded as the worst cricket pitch in the South Burnett. So the group’s first order of business was to look at ways to improve it. Over the next few years, the association held several fundraisers which raised a few thousand dollars, allowing it to connect water to the grounds and carry out some minor upgrades. 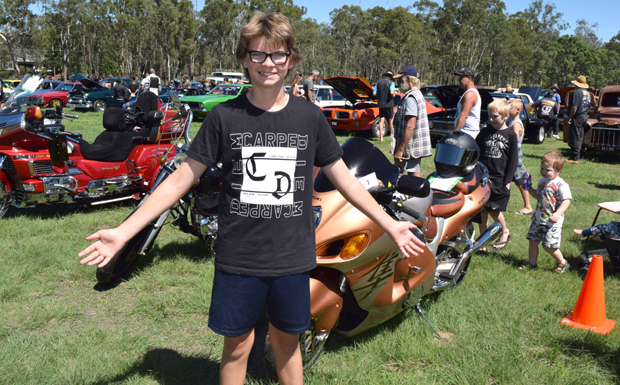 But they were progressing at a snail’s pace and even considered approaching a bank for a $5000 loan until then-Nanango Shire Mayor Reg McCallum intervened. Reg persuaded Pacific Coal (at Meandu Mine) and QEGB to jointly contribute $109,000 to the upgrade. 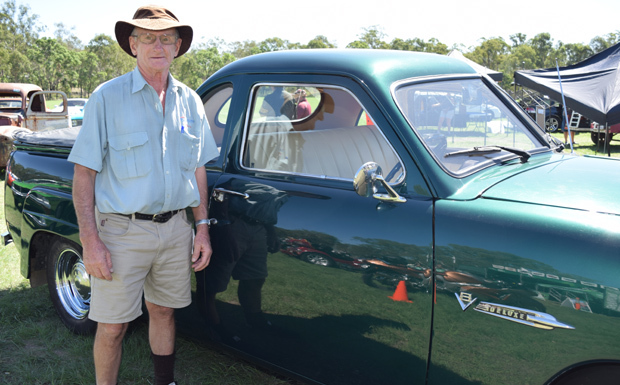 The result was the sports fields that still function today as the home grounds for Nanango’s cricket, soccer and kennel clubs. 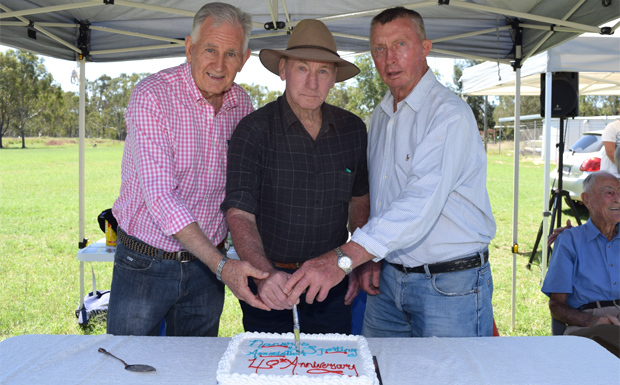 Rod and the only two other remaining foundation committee members – Des Nothdurft and Warren Hockey – cut a commemorative cake to mark the 40th anniversary. 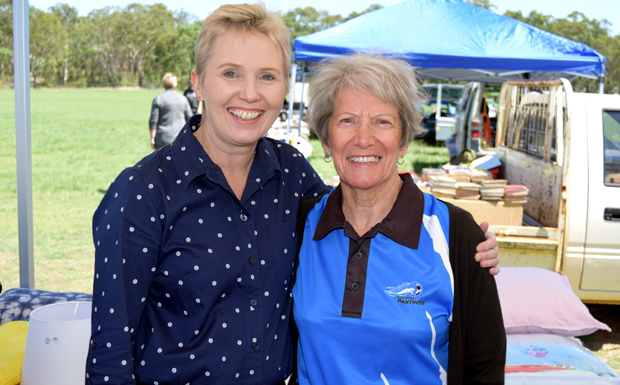 Cr Roz Frohloff, a long-time supporter of Sports Association, said she was delighted with the day’s turnout. 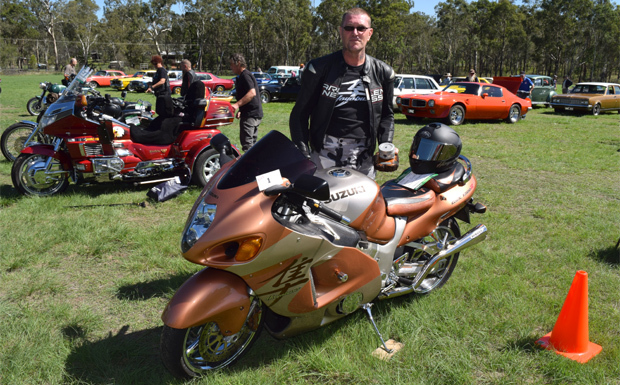 A record number of cars – more than 60 – plus 17 motorcycles were entered in the Power Up competitions. There were also stalls, live music and a laser skirmish course for the kids. Cr Frohloff thanked the major sponsors: Tarong Power Station, Meandu Mine, Stanwell, Shannons Insurance and Ken Mills Machinery. Prize sponsors were: Nanango Spare Parts, Star TyrePower, KF Solicitors, South Burnett Kart Hire, Nanango Veterinary Surgery, Nanango Peanut Wagon, Repco, Airds Hardware, Alexanders Garage, Super Cheap Auto, Sheila’s Colour World, Orchy’s Fresh, Nanango Gas Supplies, Tilly’s Auto Cafe, South Burnett Regional Council, Deb Frecklington MP, Flemings Garage and Nanango Motors. Cr Frohloff also thanked entertainers Natalie Fenton, Amber Goldsmith and Laudy (Laura Limb) as well as Misty Warne, from Misty’s Pics.